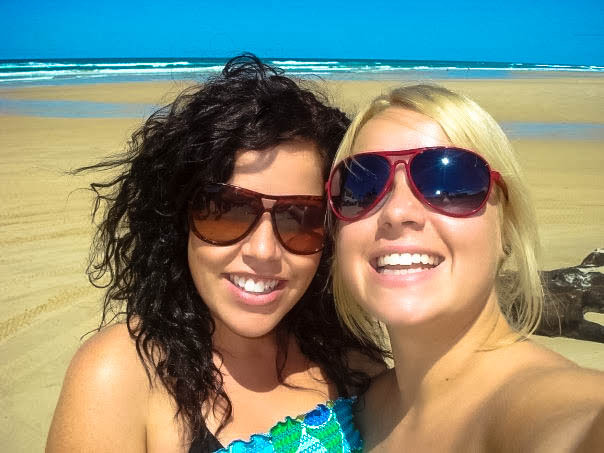 During my RTW trip with my friend Louise we spent 6 weeks in Australia. 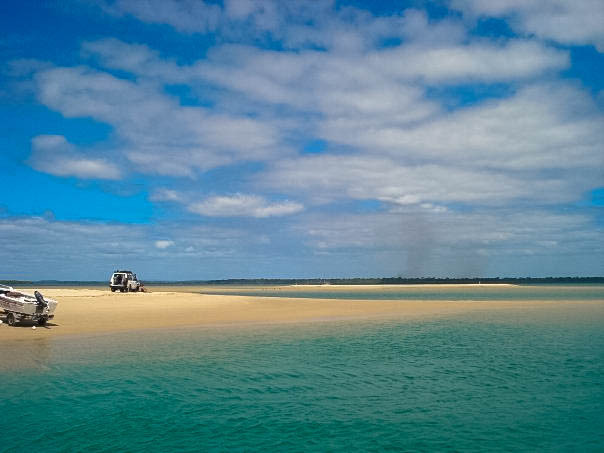 We flew in to Melbourne and worked our way up to Cairns overland. 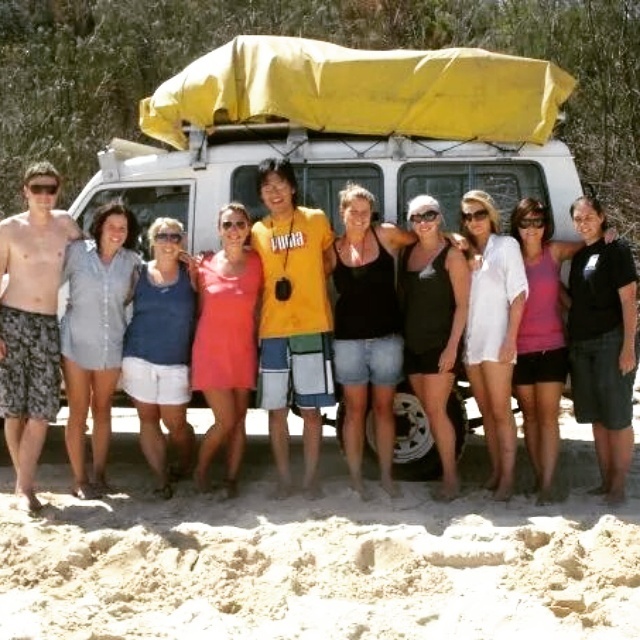 During that time we did a Fraser Island tour. 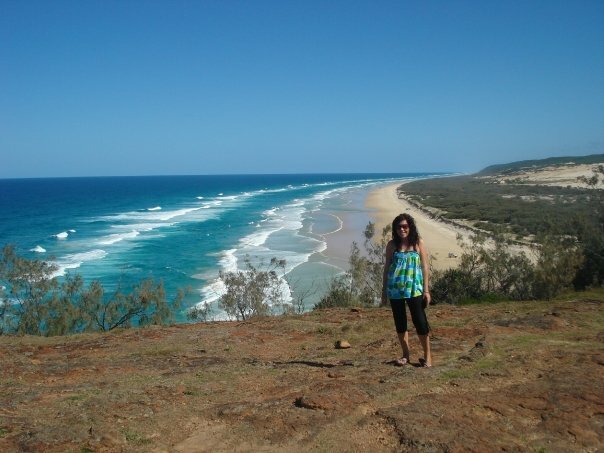 Fraser island is the largest sand island in the world and is also a heritage listed island. 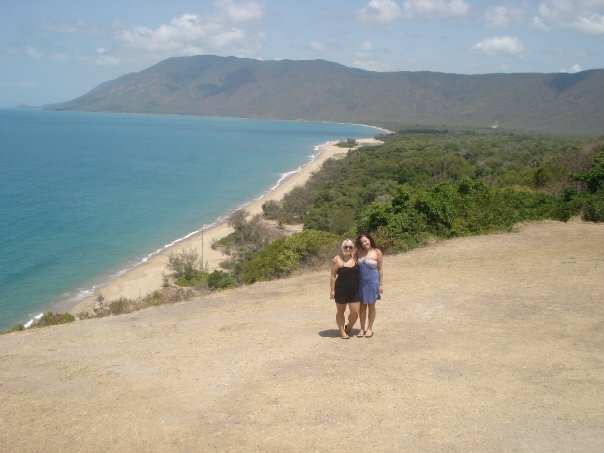 It is a beautiful island and is usually top of the list for most backpackers visiting the Queensland area. For our trip we were going to be going to the island with no tour guides but with enough food to do us all for the time that we were going to be there and with 3 jeeps. 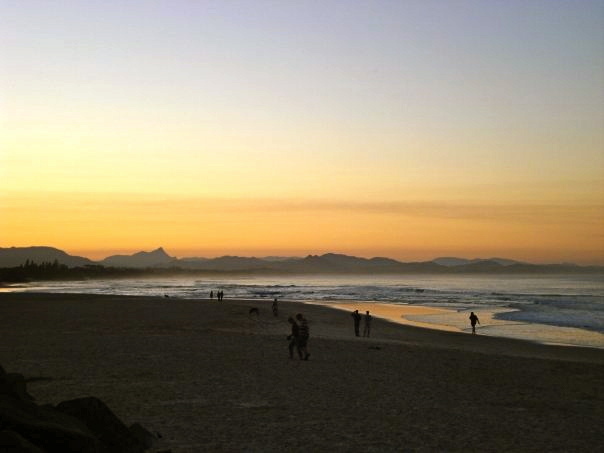 There are no roads on the island so most of the driving is done along the beach. It’s a bit risky as you have to be so careful to get to your camp site before the tide comes in or else you could get trapped in a random area or your jeep could get stuck. 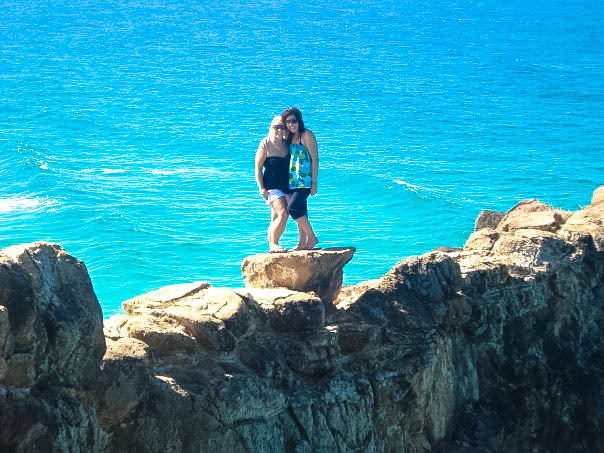 On our first day we drove along the beach and then did a little hike to a beautiful lookout where we got our first glimpse at the true beauty of this island. 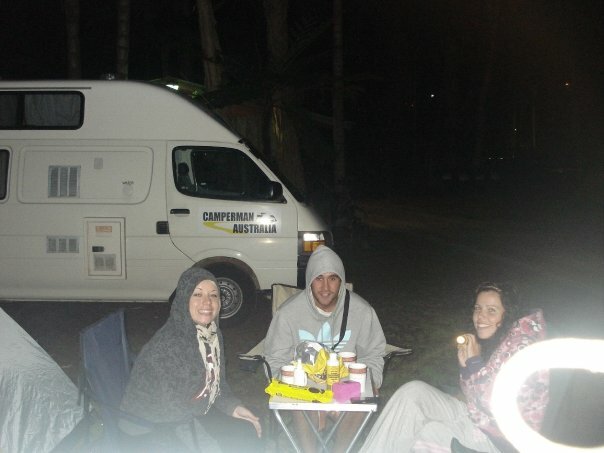 We then drove to our campsite. We spent the evening drinking cheap goon (Very cheap Australian wine). We had so much fun playing drinking games and getting to know the others in our group. With my partner in crime Louise. The next morning we woke up and headed to our first stop of the day. 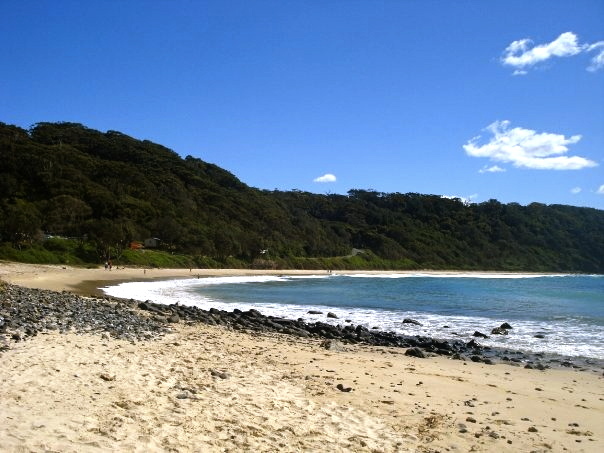 The Maheno Shipwreck. 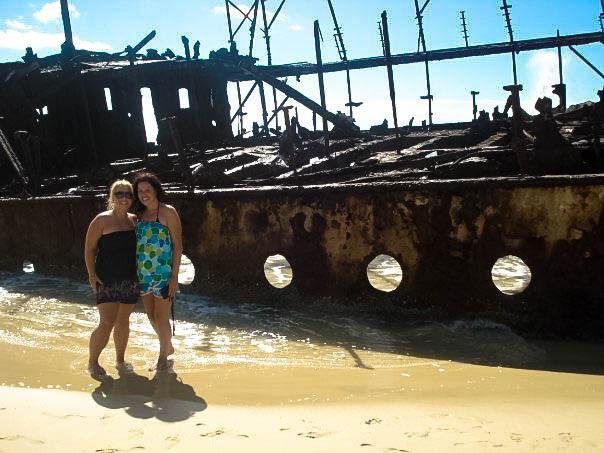 It was great being able to see a shipwreck so close as it is wrecked right up on the beach. Afterwards we visited one of the most beautiful lakes that I’ve ever seen. 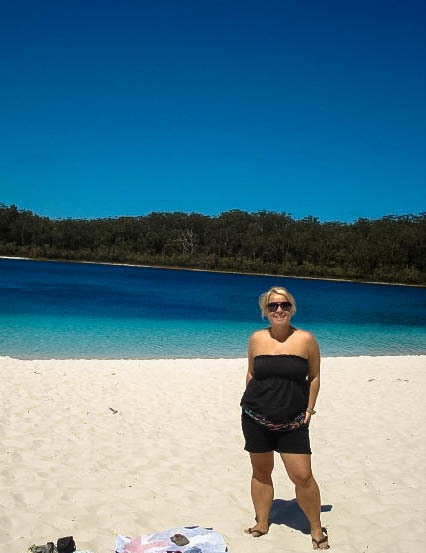 Lake Mckenzie. 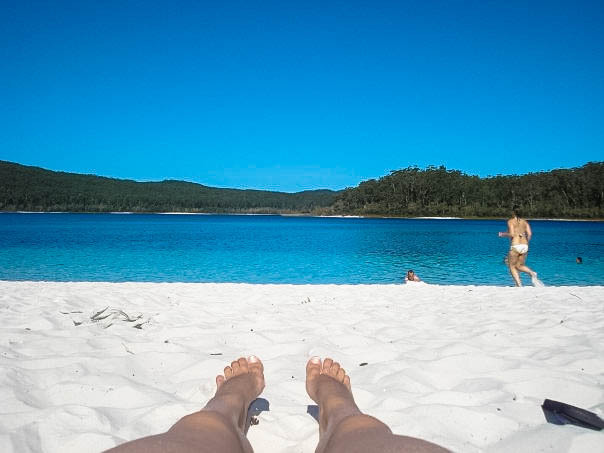 It had the clearest freshwater and some of the whitest powdery sand I’ve ever seen. I almost had to pinch myself to make sure it was real! We spent the afternoon at the lake and then drove to our final campsite of the trip. The next morning we drove to another lake on the island Lake Wabby. 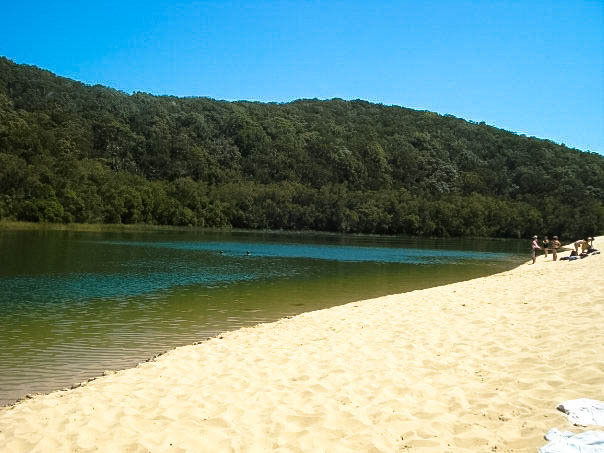 Lake Wabby was a different kid of beauty from Lake Mckenzie. 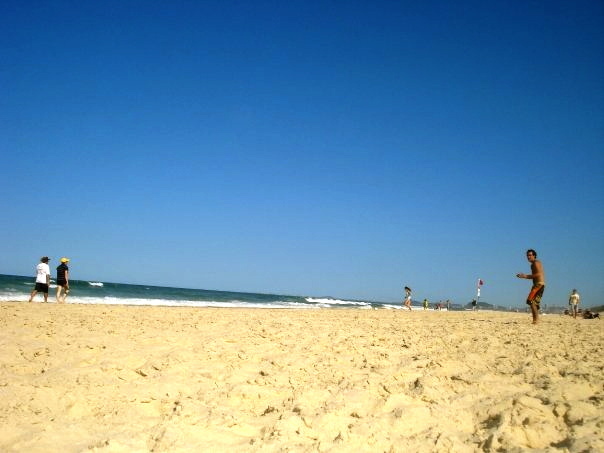 It didn’t have the clear blue water but it was beautiful in its own rite. 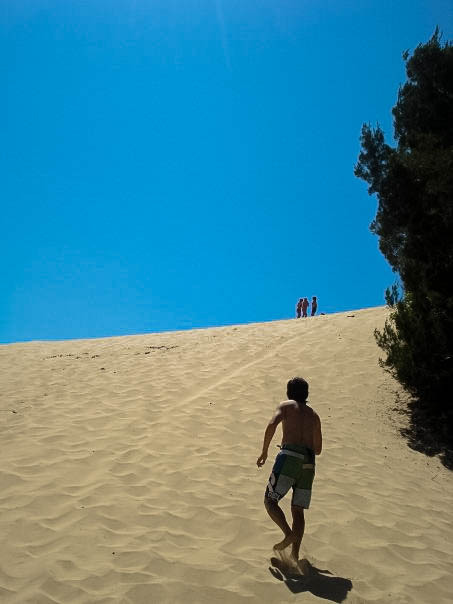 It had a big sand dune right on its shores. 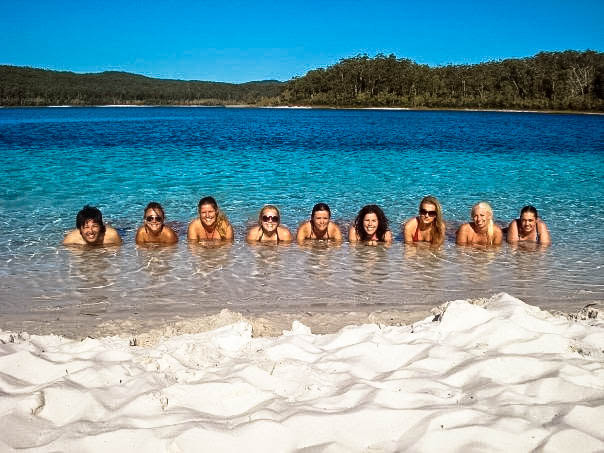 Fraser Island is a beautiful island, the tours aren’t cheap especially if you are on a backpackers budget but I would definitely recommend putting some money aside for this trip as it is one of the most memorable times that I had in Australia. 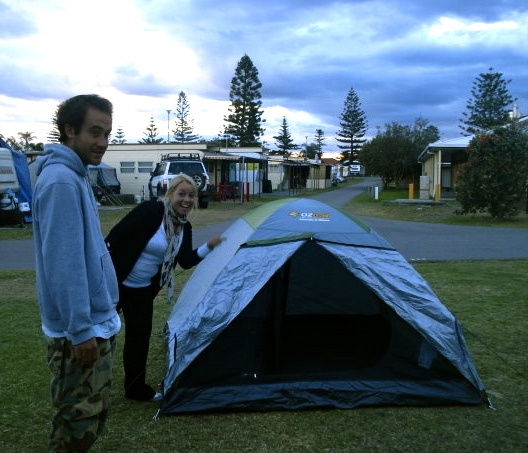 There are many hostels that you can book the trip with in both Rainbow beach and Hervey Bay. You also have to consider the fact that you are going to be spending a lot of time and sharing close quarters with 9 or 10 strangers. 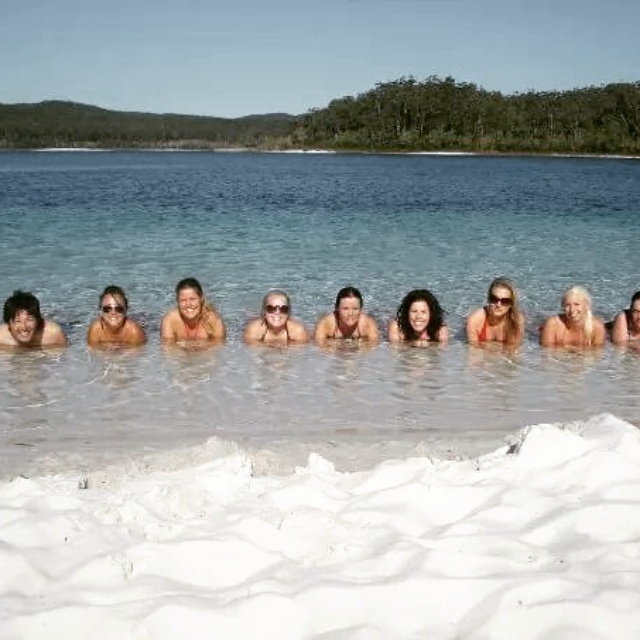 Luckily for us we had an amazing group of people on out trip that made it even more enjoyable. Myself and Lou with the rest of our group.